Award-winning sports writer Jane Leavy follows her New York Times runaway bestseller Sandy Koufax with the definitive biography of baseball icon Mickey Mantle. The legendary Hall-of-Fame outfielder was a national hero during his record-setting career with the New York Yankees, but public revelations of alcoholism, infidelity, and family strife badly tarnished the ballplayer's reputation in his latter years. 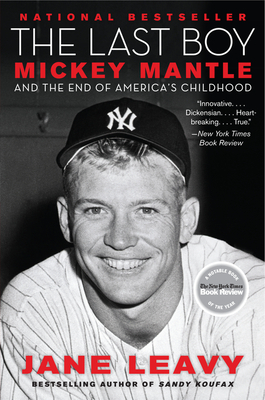 In The Last Boy, Leavy plumbs the depths of the complex athlete, using copious first-hand research as well as her own memories, to show why The Mick remains the most beloved and misunderstood Yankee slugger of all time.